Dusty garnet black color. Earthy aromas of foraged mushrooms, savory herbs, pomegranate, mint, and leather with a slightly chewy, vibrant, dry medium-to-full body and a tingling, distinctive, long espresso bean, Portabello mushrooms, white balsamic, and black pepper finish with well-integrated tannins and moderate oak flavor. A superbly dry and earthy Bordeaux that’s ready to drink but will age into something wonderful. 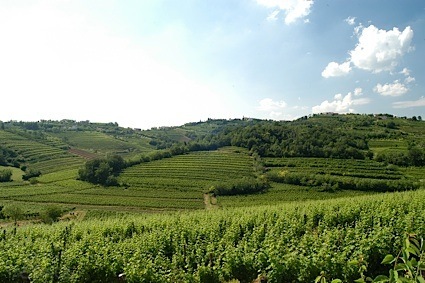 Bottom Line: A superbly dry and earthy Bordeaux that's ready to drink but will age into something wonderful. The smallest Bordeaux appellation in the Medoc known for its highly regarded cabernet sauvignon based wines. 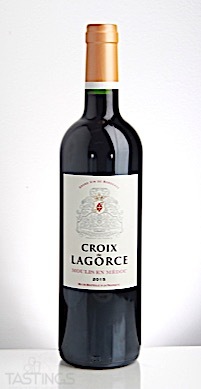 Croix De Lagorce 2015 Moulis-en-Médoc rating was calculated by tastings.com to be 88 points out of 100 on 5/14/2018. Please note that MSRP may have changed since the date of our review.